Indian Oil Corporation Limited is the part of the Indian state-owned oil and gas corporation with its headquarters in New Delhi, India. The company is the world's 83rd largest public corporation which is according to the Fortune Global 500 list, and the largest public corporation in India when ranked by revenue. Indian Oil and its subsidiaries account for a 49% share in the petroleum products market, 31% share in refining capacity and 67% downstream sector pipelines capacity in India. The Indian Oil Group of Companies owns and operates 10 of India's 22 refineries with a combined refining capacity of 65.7 million metric tonnes per year. The President of India owns 78.92% in the company. In FY 2012, IOCL sold 75.66 million tonnes of petroleum products and reported a PBT of 37.54 billion, and the Government of India earned an excise duty of 232.53 billion and tax of 10.68 billion. It is one of the seven among the Maharatna status companies of India, apart from Coal India Limited, NTPC Limited, Oil and Natural Gas Corporation, Steel Authority of India Limited, Bharat Heavy Electricals Limited and Gas Authority of India Limited. Indian Oil operates the largest and the widest network of fuel stations in the country, numbering about 20,575. It has also started Auto LPG Dispensing Stations (ALDS). It supplies Indane cooking gas to over 66.8 million households through a wide network of 5,934 Indane distributors. 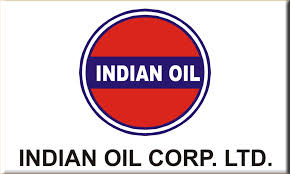 Indian Oil began operations in 1959 as Indian Oil Company Ltd. The Indian Oil Corporation was formed in the year 1964, with the merger of Indian Refineries Ltd. Indian Oil is the biggest oil producer and markets product range covering petrol, diesel, LPG, auto LPG, aviation turbine fuel, lubricants, naphtha, bitumen, paraffin, kerosene, etc. Xtra Premium petrol, Xtra Mile diesel, Servo lubricants, Indane LPG cooking gas, Autogas LPG, IndianOil Aviation are some of its prominent brands. Recently Indian Oil has also introduced a very new business line of supplying LNG (liquefied natural gas) by cryogenic transportation. This is called "LNG at Doorstep". As an active partner of the Global Compact Programme of the United Nations, Indian Oil is fully focused on "sustainable development." As a dominant player, the Corporation recognises protection of environment as a core commitment of its business. All Indian Oil refineries fully comply with the prescribed environmental standards and incorporate state-of-the-art effluent treatment technologies. The environment management systems of all major Indian Oil refineries, pipeline Installations and major marketing installations/terminals are certified to ISO-14001 standards. All Indian Oil refineries are accredited for Occupational Health & Safety Assessment Series (OHSAS-18001). All refineries are rated under International Safety Rating System (ISRS). All refineries have been provided with full-fledged effluent treatments. The plants consist of physical, chemical, biological and tertiary treatment facilities. 'Oilivorous-S'&'Oilivorous-A' technologies are being used for the treatment of oily sludge and acid tar respectively. Indian Oil refineries have adopted various measures for control of gaseous emissions. These include use of other low-sulphur fuel oil, desulphurisation of refinery fuel gas, tall stacks for better dispersion of flue gases, advanced process control systems and energy conservation measures to reduce fuel consumption. The sulphur dioxide emissions at Indian Oil Refineries are well below the limits prescribed by the Ministry of Environment and Forests and State Pollution Control Boards. Utmost care is taken to minimise the impact of refinery operations on the air quality of the surrounding areas so that the ambient air quality remains within the stipulated limits prescribed for sensitive areas. Madanpur Khadar BP won the Delhi Safety Awards 2013 for longest accident- free period. Indian Oil was conferred SCOPE Award for Corporate Governance . Indian Oil was conferred the Standing Conference of Public Enterprises (SCOPE) Meritorious Award 2011-12 for Corporate Governance by the Hon'ble President of India. Bongaigaon Refinery received the Srishti Good Green Governance Award . In recognition of the organization excellent performance in environment protection, Bongaigaon Refinery has been conferred with the winner trophy of 'Srishti Good Green Governance Award-2012' in the category 'Manufacturing Process -Non Metallurgical Sector'. Panipat Refinery was conferred with 'Award for Excellence in Consistent TPM Commitment''by Japan Institute of Plant Maintenance (JIPM), Japan. IndianOil felicitated with SAP ACE Award 2012.